Being a big fan of Japanese makeup stuff, it hits me when I realised that Kiss Me is going to celebrate their 10th anniversary this year! How time flies! We've been prettified by all those wonderful Kiss Me products for all these years, so a celebration is a must!!! To celebrate Kiss Me 10th Anniversary, there was a roadshow held at Publika last week and a lot of exciting activities been going on that day, one of the highlight was the live makeup demonstration by a renowned Japanese makeup artist who has 25 years of makeup experience in Japan - Ms. Sayuri Igarashi, creating looks with Kiss Me products. Once step into this area, confirm go crazy with all the awesome deals that was on during the roadshow! They are the best companions to go events with! Had so much fun at the Kiss Me Roadshow with these two crazy beauties lol. Japanese makeup style is always one of my favourite because they always have their unique makeup style and trend that I will not hesitate to try on my face. I can still remember when Kiss Me first brought into Malaysia, I literally went crazy and went to Watsons and buy their famous mascara and eyeliner. Still can't believe they are 10 years established and still going strong, so many Japanese celebrities and artists are using their products everyday! 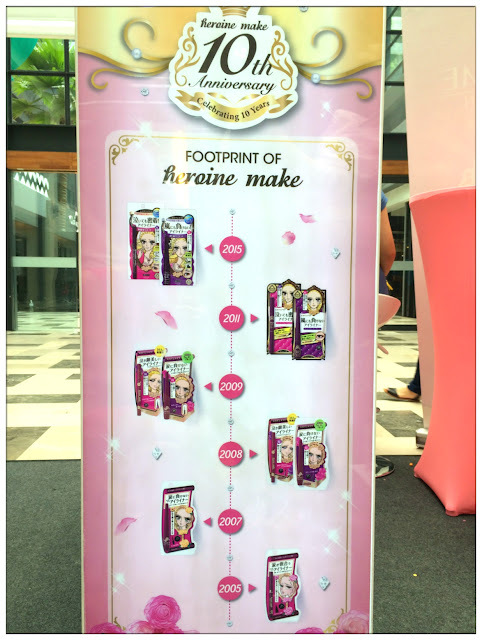 Timeline of Kiss Me products over these 10 years. 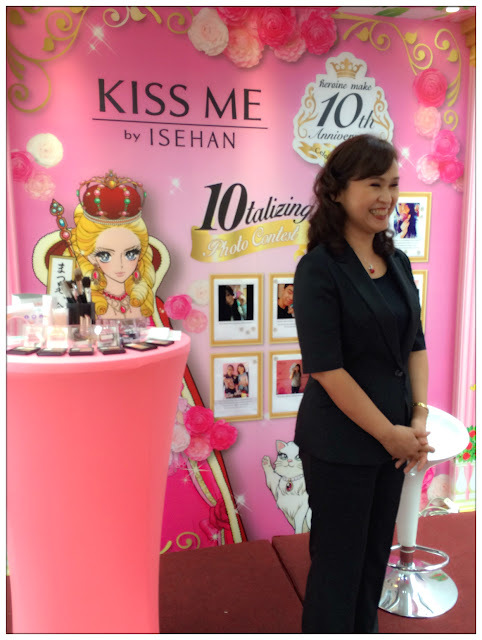 So many of my friends are users of Kiss Me products, they've been asking me about the awesome deals at the roadshow, up to 15% discount of selected products and there are some money-can't-buy complimentary gifts from Kiss Me if the purchase hits certain amount. Me myself can't stop searching for good stuff and finally bought the heavy rotation eyebrow palette. Makeup demonstration gonna start soon! Can't wait to see Sayuri-san show us the latest Japanese makeup trend. She's so cute, cheerful and bubbly! Love her to bits! 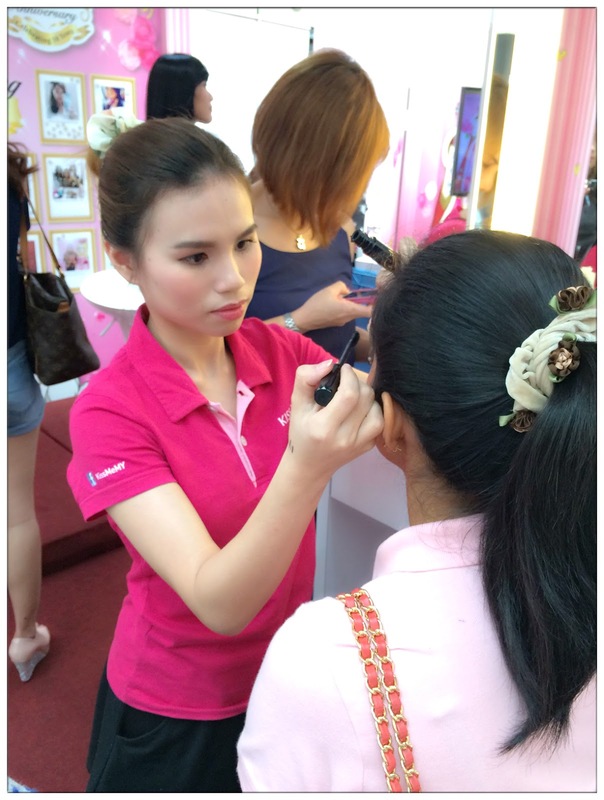 It's been a wonderful makeup demonstration session where Sayuri-san would smile and joke with the model and audiences, making it a very enjoying atmosphere when doing the makeup, unlike some of us will frown and complaint how hard it is to apply makeup. I guess using Kiss Me makeup products will definitely lighten up the mood and because of its easy application and also pretty packaging! Smiling face when apply makeup, have to remind myself about that in the future! I'm a big fan of blusher! Definitely fell in love with this face color palette the first glance I saw Sayuri-san held it in her hand and apply it on the model's face. It combines blusher, highlight and shading in one palette, perfect for either beginner in makeup or professional use. 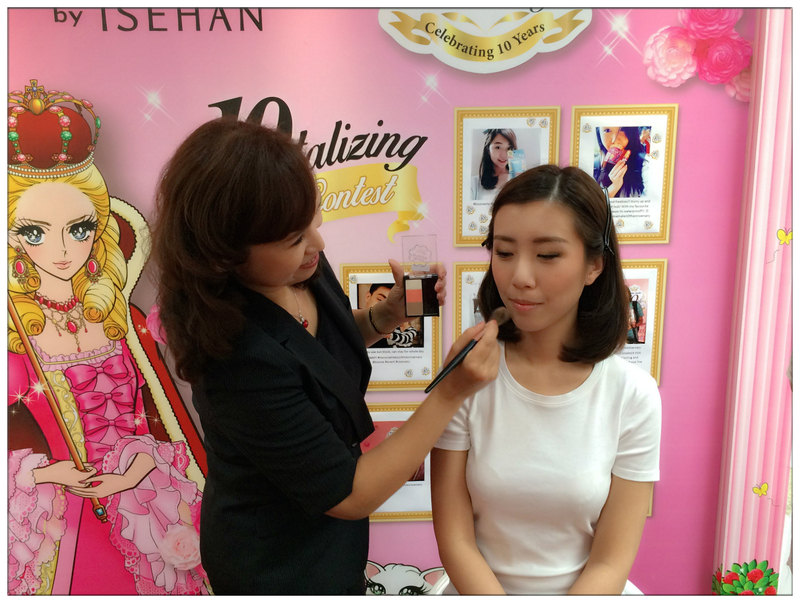 The peachy pink colour is so nice when apply on asian skin tones, kinda made me feel like wanna own one too! Girls will never complaint for having too much makeup items in their stash. lol. Perfect daily makeup look created in just short 15 minutes! Right after the makeup demonstration ended, another two models were asked to be presented on stage to show the difference of makeup style that Japanese and Kiss Me's been creating these 10 years. 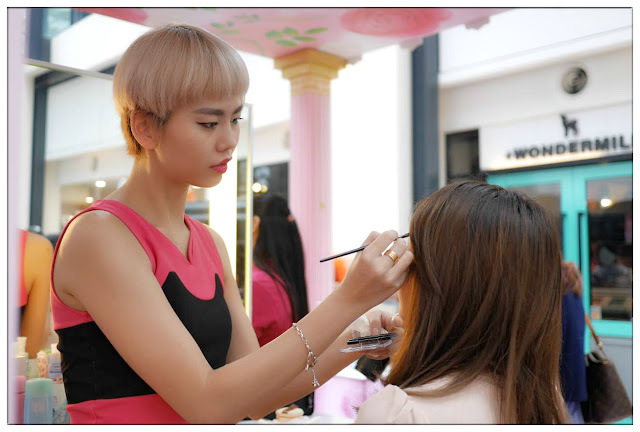 From a very cute, kawaii look to big eyes red lips dolly look until year 2015, the natural makeup look that everyone's been trying so hard to achieve, are all achievable easily using Kiss Me makeup products. You can see the difference easily, the different makeup trend in Japan throughout these 10 years, explained by Sayuri-san. 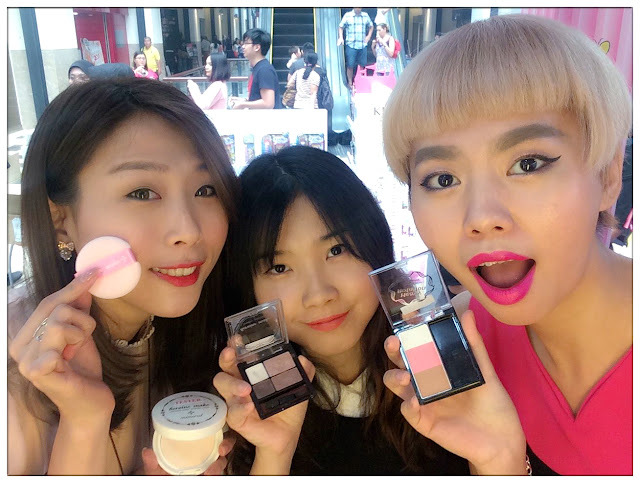 After seeing Sayuri-san create the natural makeup look, I feel like drawing makeup on face too but my makeup was a bit on the heavy side that day, so I decided to try Kiss Me products on my two friends who will never say no to me hahahahahahaha! Happily posing with Kiss Me products, but didn't see what's coming after! Test all the makeup on their faces!!!! MUAHAHAHAHA! They have very light makeup that day, so I tried apply some colours like darker eyeshadows, blusher, shading onto their makeup and it instantly light-up their face! Feels like they are ready to go out and conquer the world with their beauty! (Buay paiseh-ly praising oneself makeup skill hahahahaha). 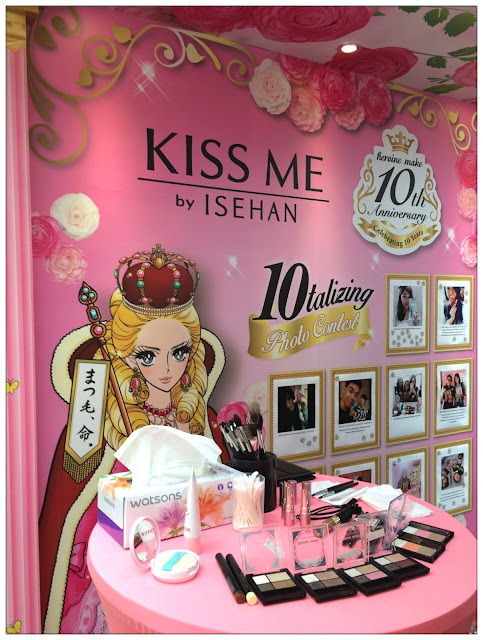 It was a really fun roadshow to be at, I've discovered so many new makeup items from Kiss Me that I would include in my next purchase, and also makeup tips given by Sayuri-san who is so kind answering all the makeup questions as well as input her own views in creating the perfect daily makeup look by using simple steps and Kiss Me products. Definitely have to give thanks to my friends who trust me enough that I won't be ruining their face that day with all the makeup stuff I tried on their face! Maybe this is what we call true friends HAHAHAHA! 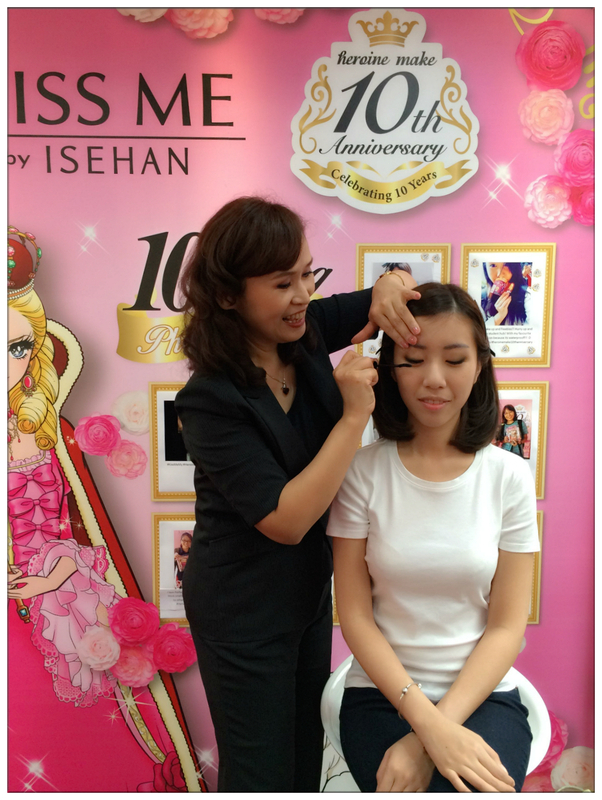 Last but not least, thank you Kiss Me who gave me such a fun time at the roadshow! 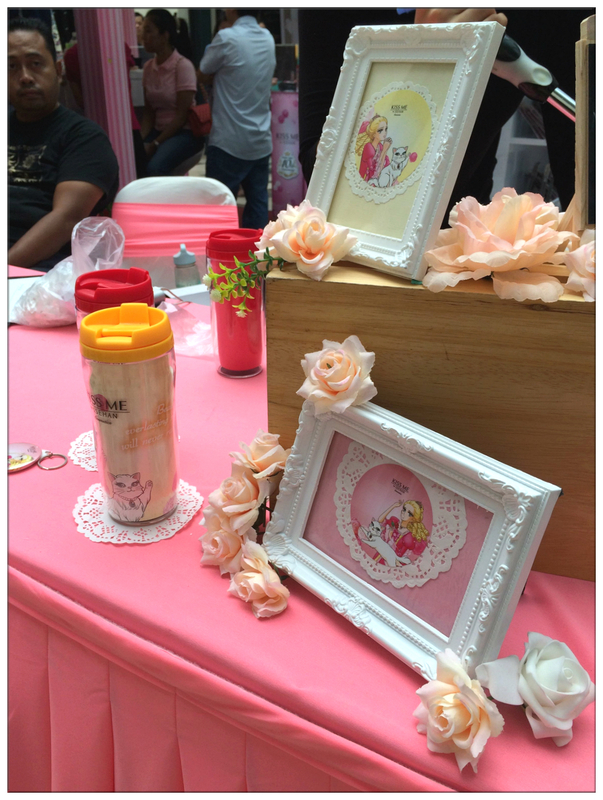 Although the roadshow had ended on Sunday, but their awesome deals are still going strong! 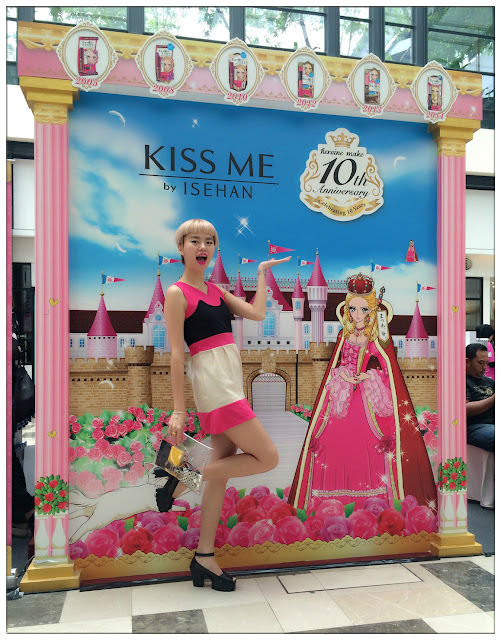 There's still 15-30% discounts for selected items of Kiss Me products when you purchase them at Watsons stores. Promotion period ends on November 2nd! 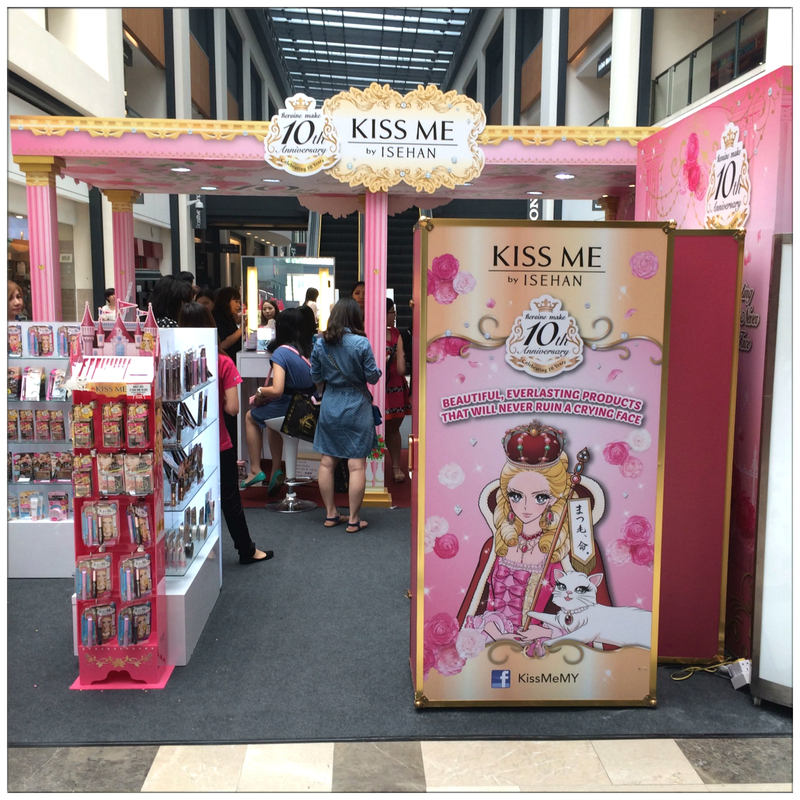 Head over to Watsons now and stock up your favourite Kiss Me items! 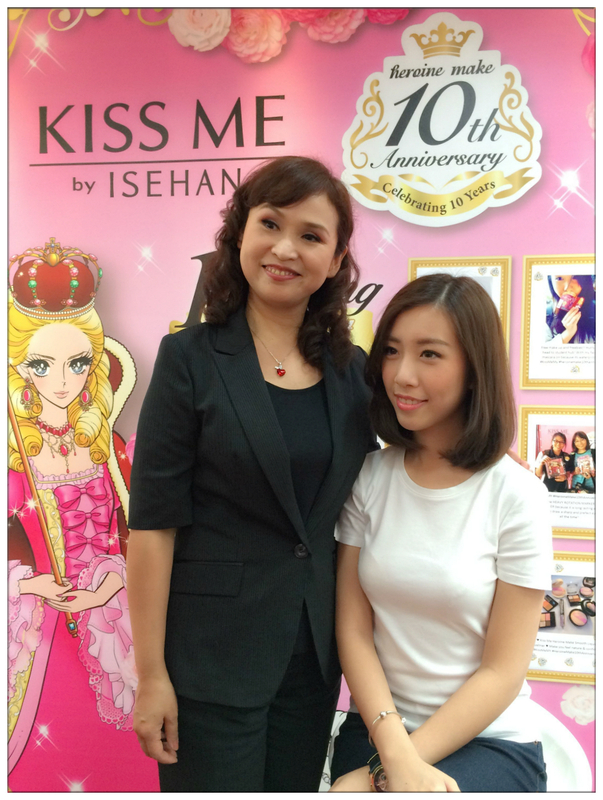 For more information, do visit Kiss Me by Isehan Official Facebook Page. so pro lo this makeup artist!